Alibaba has already opened a data center in the U.S.
To expand its cloud computing business, China's Alibaba Group is preparing to open more data centers across the world. In March, the Chinese Internet giant launched its first data center in the U.S., as part of a push into the country's market. 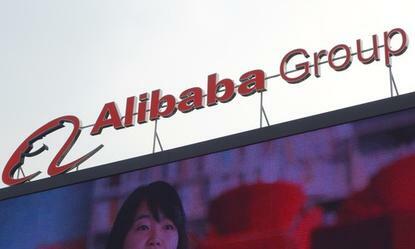 On Tuesday, Alibaba said it would establish data centers also in Europe, Japan, Southeast Asia and the Middle East. Simon Hu, president of Alibaba's cloud computing arm, said a key goal was to globalize its operations, according to an interview posted online by the company. Although Alibaba is best known as an e-commerce company, it's also China's leading cloud computing provider, according to analysts. In the U.S., Alibaba has been targeting Chinese enterprises, but eventually it wants to also attract U.S. firms. "We strongly believe our products and services can not only tap into demand from Chinese companies, but also serve overseas clients who run international businesses," Hu said in the posted interview. He added that Alibaba's cloud business will look for local partners in foreign markets. No timetable was given on when the upcoming data centers would open. The business took a step earlier this month into the Middle East market by establishing a joint venture with a Dubai-based company called Meraas. The company also brought in this month a new CEO, Daniel Zhang, who has made Alibaba's global expansion a top priority. He hopes to grow the customer base for Alibaba's cloud computing business.